You'll love living in this active adult community with golf, swimming and located near restaurants and shopping in Lowry and Cherry Creek. 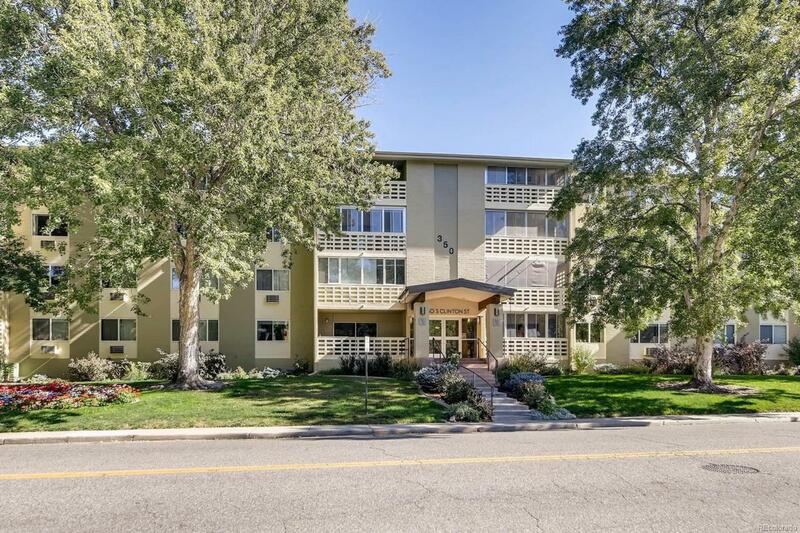 This freshly painted unit is on the 4th level so no noise from above, vaulted ceilings and 1200 SF of space which includes 2 large bedrooms, 2 baths, an in-unit storage closet, large living space with newer non-skid wood look vinyl & kitchen with granite counters. The enclosed lanai offers a bit of the outdoors for your enjoyment. Deeded underground parking is a bonus and has elevator access. An additional storage closet and shared laundry facility is on the same level and just door down from the unit. Come check this one out and start living maintenance free! Property taxes are included in HOA. See www.windsorgardensdenver.org for community info.